I have always loved the way drums sound. During parades, my focus was always on the marchers with the snares; while at concerts my neck was perpetually craned as I struggled to see over the taller members of the crowd who was pumping the rhythm into my usually-tired body. I loved the drums so much that in my early teens my parents purchased me a drum set. They did so even after I had (sometimes with tears in my eyes) shown that playing pained me. I gripped the sticks too tightly. The single bass drum in the set, rather than relying on the fluid movements of my feet, was powered (very inefficiently) by my hyper-tense legs. 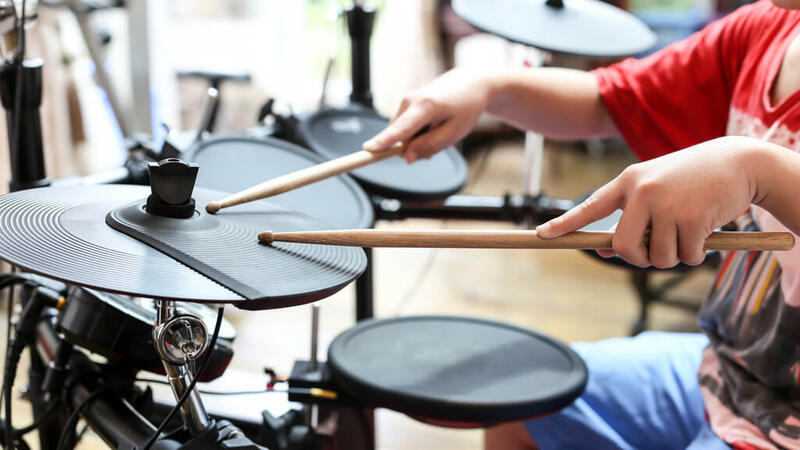 The act of playing the drums, no matter how ineptly or for how short a time, was virtually always exhausting and rarely fruitful. Despite these realities, my mother would smile after every impromptu jam session. “Sounds great, honey,” she would say, as my father rubbed my tense shoulders. My parents provided a safe environment for me to come into my own, yet they never kept me too sheltered. When my mother says I’m doing good work, I believe her. This is in no small part due to the fact that she is among the first to tell me when I’m being foolhardy; to remind me when I’m getting a bit too big for my britches. “You are a smart man, but that does not mean other people have nothing to teach you,” she reminds me frequently enough to quash the worst of my arrogance. I don’t have to read between the lines. I don’t have to consider that my parents may be keeping me ignorant of some reality, or sparing me some perceived pain by coddling me. There is a crucial lesson here that every parent of a disabled child can learn from my amazing mother and father. It’s important to understand the difference between parenting without pity and expecting normalcy. Parents are right to not wish the second option on their children. However, expecting a child to be “normal” is seldom the answer. This is because being “normal” and “accepted” are often conflated. Every person deserves the respect and acceptance that comes with being human, but making a child behave “normally” often strips them of a potential connection with disability identity and culture. This connection often creates our most fierce and respected advocates and thought leaders. In my case, this connection is what makes me feel whole. I don’t play the drums anymore, but I still love them. I write now, and I love that too. My parents didn’t just buy me a drum set that day. They gave me permission to try. They let me learn who I was and who I wasn’t, instead of telling me. They treated me with love and respect whether I was flailing around on the drums or penning my next masterpiece. Disability identity-what a powerful concept that reminds me of racial identity and gender identity to name a couple popular identity topics. Disability is a culture, deserving of awareness and thought just as any other culture in our worlds. The “fierce” connection my daughter, Annie, has with those individuals who love and connect with her are those individuals who she waits at the driveway threshold for, jumping up and down as they come down the street. Those people, those angels I call them, are to be recognized as powerful connectors; people who give my daughter an identity of a 14 year old teenager who really likes the Aldi check out guy and who loves the people at the Chesterfield Target so much that she shakes the car with joy and excitement upon entering the parking lot and seeing the sign. Keep writing, and thank you for your thoughts and words.